....because we love to make people smile. We strive to do business in a more cultivated and savvy way, taking responsibility for the impact of our business on society and the environment. We believe that we have a duty to help those who may be less fortunate because business should have the power to change everyone's lives. Making people smile is at the heart of everything we do. By choosing Sunshine Events, you'll automatically make people smile too. Through our partnership with Buy1Give1, we're able to support charitable projects all around the world. 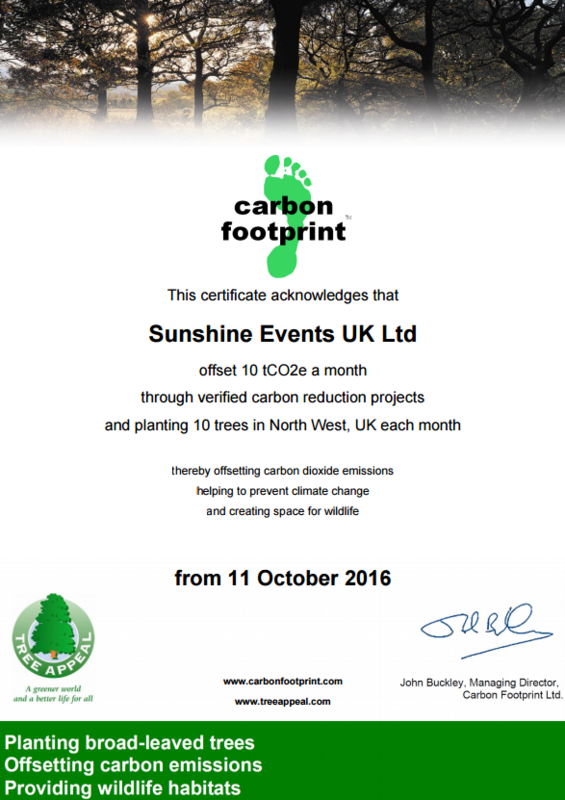 Sunshine Events are proud to be the first carbon reduction UK events company of its kind. All of our vehicles are fuel efficient allowing us to reduce our miles per gallon and our carbon footprint. Our Fun Experts always logistically plan by reducing the number of miles travelled and to find the most environmentally friendly route when travelling to your event. Our aim is to give you more smiles per mile. At present we are planting 10 trees in the North West of England each month, thereby offsetting carbon dioxide emissions, helping to prevent climate change and creating space for wildlife. 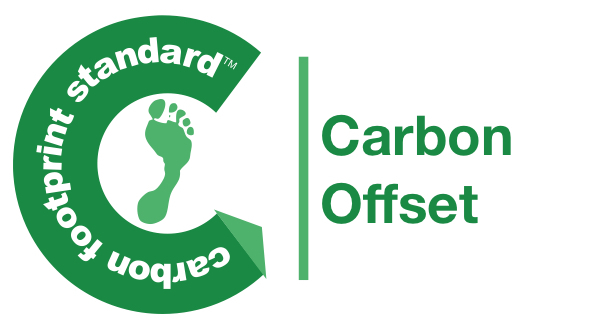 We are proud to be associated with Carbon Footprint and plan to continually review. 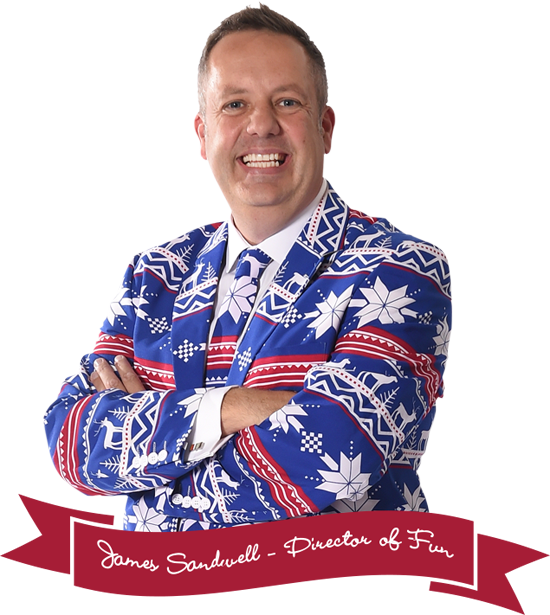 Here at Sunshine Events we like to give something back to the people who need it most. 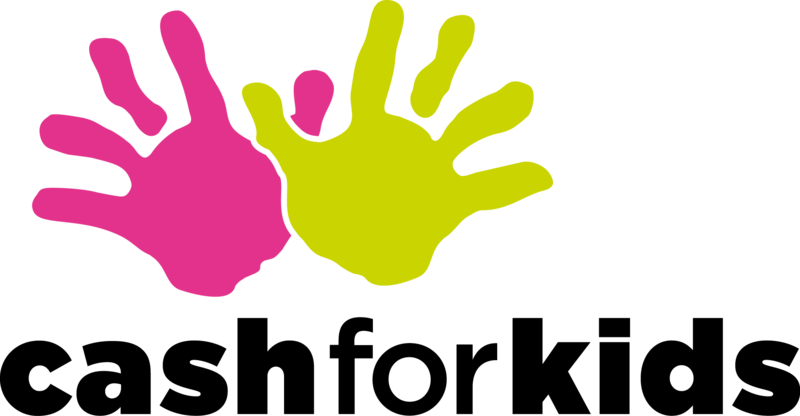 We have proudly supported Rock FM's Cash For Kids for several years, a Lancashire based charity which helps disabled and disadvantaged children. We are also proud to support our local police communities initiative backing the delivering of Citizenship as well as Personal, Social and Health Education. Through our sponsorship, we are able to support the learning and development of young children within our local area. Supporting the growth of our local community in the heart of Lancashire, we are proud that over 50 members of our staff are from the local area allowing for improved employment rate and a reduction in miles travelled both to and from work. We are embarking on a mission to become a sustainable company and although we are not perfect, we are proud to be the first carbon reduction UK events company of its kind.